If you receive news that your child has special needs, it can be distressing. Remember, there are services available when you want or need help. 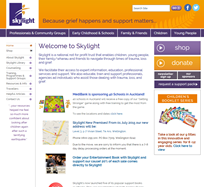 See a list of health and disability support organisations that can help. Whenever you receive news that your child has special needs – whether it's during pregnancy, after birth, during the infant years or later – it can be distressing and can lead you and your family to experience a range of emotions. You may feel shock, anger, denial, fear, guilt, sadness, and helplessness. This is normal. The future can be unknown and planning ahead is therefore very difficult. Remember, there are services to help when you want or need help. In the video below, Mel talks about the first 24 hours after receiving the unexpected news that her newborn son Ryan was being tested for Down syndrome. Early on, following the diagnosis, Mel and her husband put on a brave face and projected positivity because they knew others would take their cues from them. The support of the people you love is one of the things which can help you through these times. While your child will understandably be your main focus, it is important that you make time for these relationships as well. You will also need to take time out for yourself – to rest and relax and pursue your own interests. If family and friends offer to help, accept their offers. Try not to keep things bottled up – sharing your thoughts and feelings with someone you trust can help. In the video below, Mel stresses that when you have a child with special needs, it is particularly important to stay strong, focus on the big picture and look after yourself and your relationship. In some cases, where there is severe disability, there may also be access to some respite provided for your child in a facility. This is called respite care and needs to be assessed by a NASC (Needs Assessment and Service Coordination) Service. Ask your social worker for assistance or call HealthPAC, the Ministry of Health's help line on 0800 281 222 (press 2). If you can receive respite care and carer support, they can be important for you and your other children. They can give everyone a break, including your child with special needs. You may find the needs assessment page on this website helpful, as well as coping when your child has a diagnosis of a chronic illness or disability. 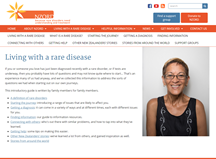 Information if you or someone you love has just been diagnosed with a rare disorder. The NZORD introductory guide covers: starting the journey; getting a diagnosis (before birth, at birth, in the infant years, or as a teenager or adult); undiagnosed conditions; finding information; connecting with others; getting help; other New Zealanders' stories and stories from around the world. Carers NZ exists to support New Zealand's family, whānau, and aiga carers, providing information, advice, learning and support. Call the Carers NZ information and helpline 0800 777 797 (toll free). See their website for contact details. Through a network of regional groups and trained volunteer support parents, Parent to Parent provides information and emotional support to families who have a child with a disability, special need or health impairment. 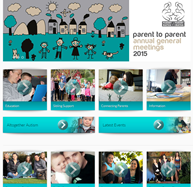 Parent to Parent can help if you want to contact another parent whose child has similar needs. Call free on 0508 236 236. A range of information about support available depending on your child's needs.